I hope everyone's day was filled with family, friends and food! I enjoyed celebrating this important holiday with great family. I went on a little shopping spree in St. George this weekend. Styles For Less had some very fun items that I am very excited to post. I wish I could post them all today, but I will be patient. 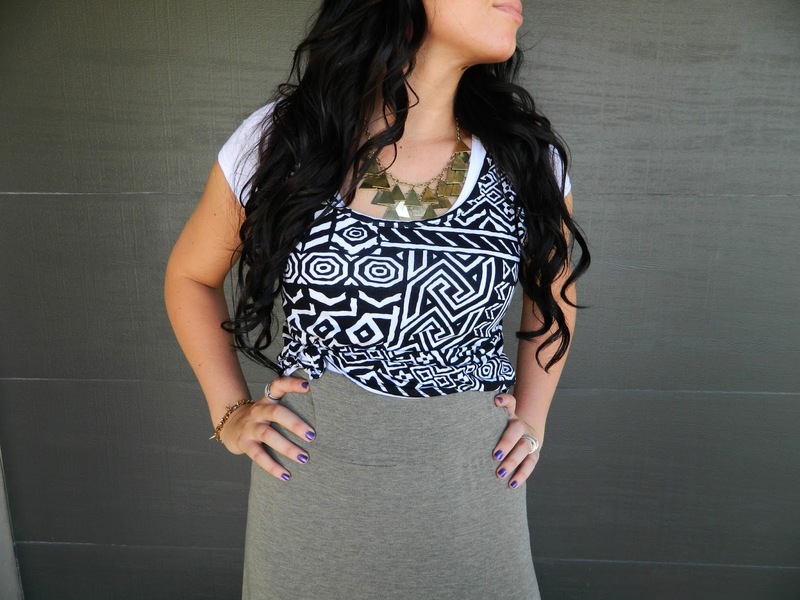 This crop aztec tank I paired with this long high-low skirt that I fell in love with. This skirt is a great color to pair up in the spring or fall or winter or just anytime. really. I bought another triangle looking necklace. You can never have to many right? Guys, I am moving into my house this weekend. If everything runs smoothly. I am so excited I might die. It still doesn't seem real. Let the countdown begin!! 1 comment on "aztec lovin' featuring Styles For Less"